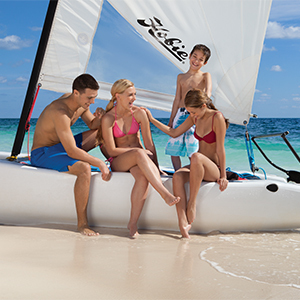 If you’re looking for a vacation spot where your teenagers can hang out and mingle, look no further than Now Resorts & Spas for your next family getaway! For ages 13-17, we have the Core Zone Teens Club at Now Amber Puerto Vallarta, Now Larimar Punta Cana and Now Sapphire Riviera Cancun, and Now Jade Riviera Cancun has a specialized teen activities program. Teens can enjoy a variety of activities & entertainment such as land and water sports, video games, computers with internet, dance classes, foam parties, a snack bar, and even evening disco mixers (offerings vary per resort). Watch below to see how Adam enjoyed time at the Core Zone on his family vacation! Don’t forget to connect with us on social media to find out what’s happening at our resorts! This entry was posted in Now Resorts & Spas. Bookmark the permalink.